The contents of these online bylaws are for information and reference purposes only, and are not to be relied on as the complete or official versions of Cowichan Tribes bylaws. For more information regading bylaws, please reference the contact information provided. Cowichan Tribes Lands and Governance Department administers and enforces bylaws relating to animal control. If you have any questions relating to our bylaws please contact our Bylaw Officer. Your dog licenses are available at the Lands and Governance Department. If you have to burn, only burn when the venting index is Good. Not when it is Fair or Poor. Water is our most important resource, and ensuring that it is conserved and protected is a responsibility of every member of the community. Here are a few tips on how you can keep people from trespassing on your property, including security devices that’ll help you out. By following these four steps, you will be on your way to having the best security system to prevent trespassing on your property. 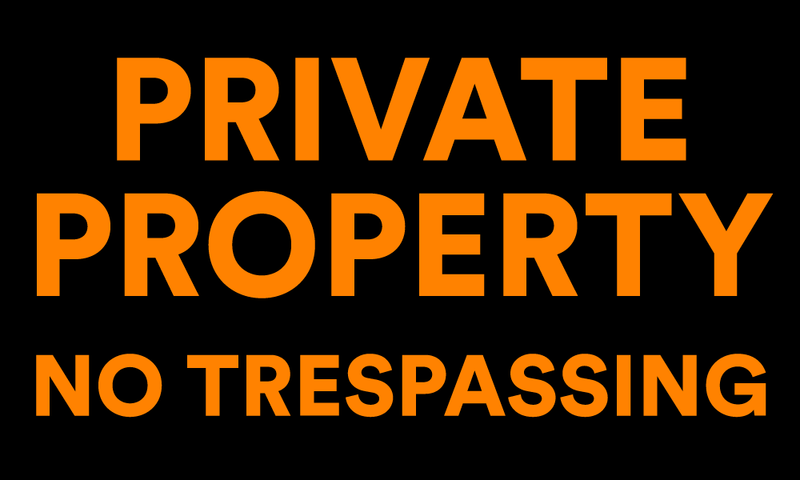 Placing "No Trespassing" or "Private Property" signs around is an easy way to prevent people from entering your property. In many cases, it is possible people might not even know they are trespassing in the first place. The number of signs you may need for your property will be at your discretion. Depending on how big your property is, some recommend placing a sign every 50 yards along the property border. If you have a home security system, be sure to prominently display a home security sign. Knowing a home is monitored by a security system can deter potential trespassers. Creating borders around your property using a traditional fence, plants or trees as borders. Plant or tree boundaries can also be effective, as they’ll keep people from being able to see into your property and are more aesthetically pleasing. These borders can include shrubs, perennial grasses, and trees. The best types of plants for border protection will depend on where you live. Your are encouraged to contact lands and or housing if you have any questions or need further clarification. Establishing a strong sense of community may deter trespassers and prevent any unwanted activities from occurring. Take the time to know your neighbors by going around and introducing yourself. Ask them about any trespassing incidents they have experience and what security measures they are taking. Security cameras can be the most effective tool to deter potential trespassers. Make sure you do you research on the best type of camera based on your needs. You will need to place a "surveillance warning sign" along side with a "no trespassing sign" up on your property to remind trespassers, kids or neighbors.